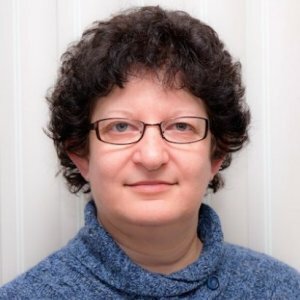 Karen D. Davis is a Professor in the Department of Surgery and Institute of Medical Science at the University of Toronto, and heads the Division of Brain, Imaging and Behaviour – Systems Neuroscience at the Krembil Research Institute (Krembil). She is also a founding member of the University of Toronto Centre for the Study of Pain and sits on its Executive Committee. 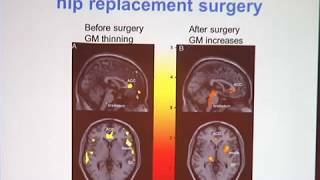 Since 1993, Dr. Davis has pioneered brain imaging for the study of pain. Her lab uses brain imaging to examine mechanisms underlying chronic pain, pain-attention interactions, brain plasticity, concussion, disease vulnerability and recovery. Dr. Davis has given over 140 invited lectures, published over 125 papers and has been inducted into the Johns Hopkins Society of Scholars. 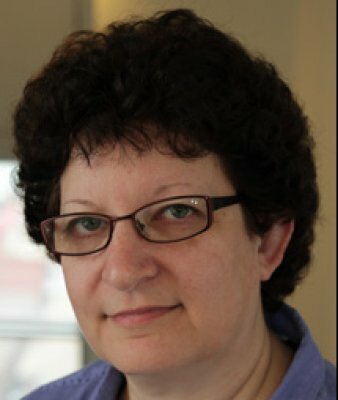 She was the ‘pain measurement and imaging’ Section Head of the journal Pain for 10 years and a 2013-14 Mayday Pain and Society Fellow. Dr. Davis has a strong interest in research ethics, having created a graduate student oath, and in neuroethics pertaining to brain imaging. She also sits on several boards, including the Scientific Advisory Council of Brain Canada, the Institute Advisory Board of the Canadian Institutes of Health Research, and the Council of the International Association for the Study of Pain. Her TED-Ed video titled "How does your brain respond to pain?" has hit over 500,000 views. Dr. Davis held the position of Research Chair from 2000-2010. The society inducts former postdoctoral fellows, postdoctoral degree recipients, house staff and junior or visiting faculty who have served at least a year at Johns Hopkins and thereafter gained marked distinction elsewhere in their fields. "Questions surround whether brain-scan measures of whether someone is in pain are reliable enough to be used in legal proceedings." Dr. Davis is featured in this article for Scientific American. "A brain that can let other thoughts bubble up despite being in pain might help its owner benefit from meditation or other cognitive therapies." Dr. Davis is featured in this article for NPR. 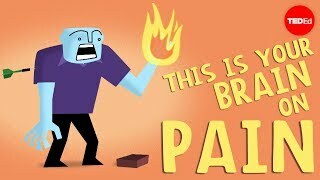 Brain representations of pain sensitivity: Your Brain is Not My Brain! Temporal summation of pain (TSP), the perception of increasingly greater pain evoked by repetitive noxious stimuli, is highly variable between individuals. Individuals with facilitated pain processing and/or reduced pain-modulatory capabilities are regarded as pronociceptive, whereas individuals with reduced pain processing capacity are characterized as antinociceptive. Brodmann area (BA) 3a of the primary somatosensory cortex is part of an ascending pathway from the sensory thalamus that mediates TSP. Descending pain modulation involves projections from the subgenual anterior cingulate cortex (sgACC) to the periaqueductal gray to the rostral ventromedial medulla (RVM). Here, we tested the hypothesis that pronociceptive individuals have an enhanced TSP response compared with antinociceptive individuals, marked by facilitated ascending nociceptive processing and/or reduced capacity for descending pain modulation. Eighty healthy humans were tested with a TSP protocol and underwent structural and resting-state functional magnetic resonance imaging. We found large interindividual differences in TSP responses, which were positively correlated with functional connectivity (FC) between individuals' right sensory thalamus with their BA 3a (thal-BA 3a), and with cortical thickness in their insula and medial prefrontal cortex. In contrast, TSP was negatively correlated with FC between individuals' RVM with their sgACC (RVM-sgACC). When subjects were grouped as pronociceptive or antinociceptive based on whether they had greater thal-BA 3a or RVM-sgACC FC respectively, pronociceptive subjects showed greater TSP responses. Furthermore, TSP was positively correlated with the extent of imbalance toward ascending nociceptive processing. Our study indicates that individuals with enhanced TSP have facilitated ascending nociceptive processing and reduced pain-modulatory capacities. While generalized cerebral atrophy and neurodegenerative change following traumatic brain injury (TBI) is well recognized in adults, it remains comparatively understudied in the pediatric population, suggesting that research should address the potential for neurodegenerative change in children and youth following TBI. This focused review examines original research findings documenting evidence for neurodegenerative change following TBI of all severities in children and youth. Our relevant inclusion and exclusion criteria identified a total of 16 articles for review. Taken together, the studies reviewed suggest there is evidence for long-term neurodegenerative change following TBI in children and youth. In particular both cross-sectional and longitudinal studies revealed volume loss in selected brain regions including the hippocampus, amygdala, globus pallidus, thalamus, periventricular white matter, cerebellum, and brain stem as well as overall decreased whole brain volume and increased CSF and ventricular space. Diffusion Tensor Imaging (DTI) studies also report evidence for decreased cellular integrity, particularly in the corpus callosum. Sensitivity of the hippocampus and deep limbic structures in pediatric populations are similar to findings in the adult literature and we consider the data supporting these changes as well as the need to investigate the possibility of neurodegenerative onset in childhood associated with mild traumatic brain injury (mTBI). Physical pain can be clearly distinguished from other states of distress. In recent years, however, the notion that social distress is experienced as physically painful has permeated the scientific literature and popular media. This conclusion is based on the overlap of brain regions that respond to nociceptive input and sociocultural distress. Here we challenge the assumption that underlies this conclusion – that physical pain can be easily inferred from a particular pattern of activated brain regions – by showing that patterns of activation commonly presumed to constitute the ‘pain matrix’ are largely unspecific to pain. 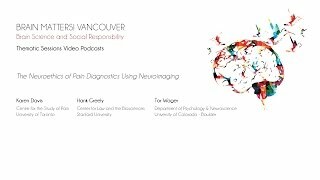 We then examine recent analytical advances that may improve the specificity of imaging for parsing pain from a broad range of perceptually unique human experiences.